Michael Shelling MD (Boynton Beach) - Book Appointment Online! Dr. Shelling and the staff at the office are wonderful. They always have short wait times, are personable and welcoming. Dr. Shelling is great. 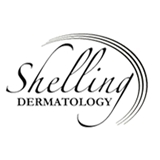 Easy to talk to, thorough, and the best dermatologist I’ve come across.